Bed Bug Barrier Testimonial – Strathfieldsaye 3551. 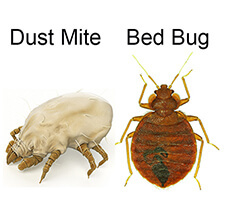 Until a couple of years ago I thought bed bugs were a mythical creature. Then we accidently found some hiding in the mattress seam. Good old google led us to Bed Bug Barrier and with the steamer and powder under the feet of the bed we’ve had no sign of them since. Nice to get something that does exactly what it says it will. I’d certainly recommend it.